All San Marcos homes currently listed for sale in San Marcos as of 04/19/2019 are shown below. You can change the search criteria at any time by pressing the 'Change Search' button below. "Model home Fully furnished ~ On top of the world with Panoramic Ocean and Lagoon views to the South and West with breathtaking sunsets. 5 en-suite bedrooms and 5.5 baths including a separate detached cabana with a full bath and walk-in closet. 2 car garage with a separate single car garage. Located in a private cul-de-sac. Mature landscaping including a beautiful backyard with a swimming pool and a fire pit. This superb home offers a welcoming front courtyard with a fountain SEE SUPPLEMENT Neighborhoods: San Elijo Hills Complex Features: , Equipment: Dryer,Fire Sprinklers,Garage Door Opener,Pool/Spa/Equipment, Washer Other Fees: 0 Sewer: Sewer Connected"
"A must see Davidson Model home fully furnished! Residence 3 ~ This incredible home has Panoramic views of La Jolla and Downtown skylines as well as Ocean and rolling hills. It includes 5 en-suite bedrooms and 5.5. baths including a casita over the 4 car garage. Additionally it has a loft and desk area upstairs and an office/library downstairs. The entry way has a welcoming and private courtyard. The large 568 Casita above the garage includes a full bath, walk-in closet & separate stairs SEE SUPPLEM Neighborhoods: San Elijo Hills Complex Features: , Equipment: Dryer,Fire Sprinklers,Garage Door Opener, Washer Other Fees: 0 Sewer: Sewer Connected"
"Fully furnished Model home ~ Panoramic Ocean, Hills and Lagoon views. 4 en-suite bedrooms and 4.5 baths with a 2 car garage. Warm great room with an inviting fireplace. Downstairs game room with French doors that flow to the courtyard and backyard. Expanded dining room with china closet and wine room. Open kitchen includes an expansive island with breakfast seating. Expanded laundry room with convenient doggy shower! Spacious casita including full bath, walk-in closet and separate entrance. SUPPLEM Neighborhoods: San Elijo Hills Complex Features: , Equipment: Dryer,Fire Sprinklers,Garage Door Opener, Washer Other Fees: 0 Sewer: Sewer Connected"
"Let this working horse ranch work for you! Income-producing training facility, created by an experienced horseman for an efficient, streamlined operation. Offering includes a Use Permit allowing up to 84 horses and a commercial equestrian business, 3 barns, fenced paddocks, arenas, walkers, office with viewing deck, plus a private, upgraded owner's home & caretaker residence overlook the entire operation. Suitable for a professional, an investor, or anyone desiring the equestrian lifestyle and income. Neighborhoods: San Marcos Equipment: Dryer,Fire Sprinklers, Washer Other Fees: 0 Sewer: Septic Installed Topography: LL,GSL Guest House Est. SQFT: 1152"
"Calling developers! 7.88 acres in San Marcos 92028 close to CSUSM.2 homes currently on site-Main house 3/2.5 - 2610',huge deck off master,guest house 3/2 - 1800'. 2 addtl structures on site.Well on Property & City Water,gated home,lots of fruit trees,Circular Driveway,chickens, storage.General Plan approved for 16-18 dwellings (20,000'lots). Opportunity awaits for development in growing college area. Close to Urge,freeway,hospital,grocery and more. Build it and they will come! Neighborhoods: San Marcos Equipment: Range/Oven Other Fees: 0 Sewer: Septic Installed Topography: GSL"
"Location, location, location! Enjoy every moment in your new home situated at the end of a private drive where you are greeted by lush landscaping, relaxing breezes, ocean views while overlooking St Marks Golf Course. Experience living as it is meant to be in this luxurious custom built home that is exquisitely appointed with the modern design that you deserve. Neighborhoods: San Marcos Equipment: Range/Oven Other Fees: 100 Sewer: Sewer Connected Topography: LL,GSL"
"Wonderful old world view hilltop property over looking Lake San Marcos. A party palace over looking the very upscale Lake San Marcos Lake and Lodge Resort. This house has it all. Very open floor plan with lots of room to grow and entertain. Huge wrap around deck for viewing. Great ocean breezes and feels as if you're in the country. Easy house to lock and go. Easy out door maintenance. Sensor detection system throughout entire exterior. Huge lot below the house could add a extra garage, terrnis,pool!!! Neighborhoods: Lake San Marcos Complex Features: ,,,,,,, Equipment: Dryer,Garage Door Opener Other Fees: 0 Sewer: Sewer Connected Topography: LL,GSL"
"9.16 Acres, Single Story--New Construction Estate in a gorgeous rustic setting w/separate parcel ideal for a cottage, equestrian use or tennis court. Perched up on the hill, this 1-story 3944 SF 4+1 Bdrm 4.5 BA home offers beautiful panoramic views of the surrounding hills & valleys in a tranquil setting. Grow grape vines. Be the first to enjoy these fine details including, new high-end appliances & the many upgrades throughout. The flat area surrounding the home lends to an amazing landscape setting. Neighborhoods: San Marcos near San Elijo Hills Architectural Style: Custom Built View: Custom Built Equipment: Fire Sprinklers,Garage Door Opener, Range/Oven Other Fees: 0 Sewer: Septic Installed, Perc Test Completed Topography: LL,GSL"
"Gated estate with panoramic ocean views! Set on 10+ acres with 800 Avocado trees. Gourmet kitchen with exposed beams, custom knotty alder cabinets, dual island and only the best in appliances! Dual Sub zeros, 48 inch Thermador range/oven/commercial hood, warming oven, prep sink, farmhouse sink, storage. Generous ground level Master Suite with sitting area, soaking tub, oversized shower, laundry closet. Large detached workshop for RV/Car Storage. Neighborhoods: San Marcos Complex Features: ,,, Equipment: Pool/Spa/Equipment, Shed(s) Other Fees: 0 Sewer: Septic Installed Topography: ,,RSLP,GSL"
"STUNNING RARE OCEAN VIEW GEM in the gated Azure community of San Elijo Hills, located at the end of a CUL-DE-SAC w/ HUGE WRAP AROUND YARD & SWEEPING OCEAN, LAGOON & MOUNTAIN VIEWS! This RESORT-STYLE OASIS offers a VANISHING EDGE POOL/SPA, view deck, built-in bbq/firepit + spacious patios surrounded by panoramic views! WARM & ELEGANT INTERIOR: Rosewood hardwood flooring, gourmet kitchen w/quartzite counters, multiple fireplaces, plantation shutters, surround sound, SOLAR w/back-up system & MORE. See suppl. Neighborhoods: San Elijo Hills, Gated Azure Complex Features: ,,,,,, Equipment: Dryer,Garage Door Opener,Pool/Spa/Equipment, Washer Other Fees: 0 Sewer: Sewer Connected Topography: LL"
"Perched on 1+ac land, this single story home w/views of vibrant sunsets, sparkling lights & rolling hills w/ trails. Home s natural light showcases its updated features (vaulted ceilings, open plan, barn doors, smooth plaster walls &eclectic d cor). Ext. is own playground w/ swim spa, fire pit, & dining area. Land s 2nd level is wide open canvas to design to heart's content (driving range; vineyards, living quarters). Part of iconic LKSM s lifestyle- waterfront hotel & 5 star restaurant & 2 golf courses. Neighborhoods: Windsor Rose Equipment: Pool/Spa/Equipment, Range/Oven Other Fees: 0 Sewer: Sewer Connected Topography: ,"
"Stunning Former Model Home in the highly sought after Bella Vista San Elijo Hills community. Enjoy a high ceiling entry with large open concept floorplan that extends into a large California room with two sets of upgrade stackable sliders that seamlessly blends the best of indoor , outdoor spaces magnifying the socal lifestyle at its finest. This home offers 5 private bedrooms, 5.5 bathrooms including a one bedroom suite with full bathroom on main floor and the formal office could be converted into the second main floor bedroom if desired. Enjoy the stunning wide plank tile floors throughout the main floor with the gourmet chefs kitchen with a stainless steel package, larger center island, dual ovens, quartz counters and a grand private dining room close by. 4 more bedrooms, large loft, balcony, and laundry room rounds out the upstairs with a master suite with retreat that includes a spa size bathroom and oversized walk in closet. This home has everything your looking for with panoramic ocean and mountain views plus Double Peak Schools!! Neighborhoods: SAN ELIJO HILLS Equipment: Fire Sprinklers, Garage Door Opener, Other Fees: 0 Sewer: Sewer Connected Topography: LL,GSL"
"Sophisticated, executive, entertainers home,ocean breezes, lots of natural light, and plenty of privacy on almost an acre of land, home backs up to private vineyard. Featuring soaring ceilings, dramatic staircase, travertine floors, updated island kitchen with eat in area, formal dining room, two fireplaces, updated lighting, in-suite master retreat. Finished backyard with fire-pit, fountain, pond, in a lush, tropical setting. Includes car charging station! Close to beaches, shops, restaurants, fwys. Neighborhoods: Brighton Ridge Equipment: Dryer,Fire Sprinklers,Garage Door Opener, Washer Other Fees: 0 Sewer: Sewer Connected, Public Sewer Topography: LL"
".PANORAMIC VIEWs and granny flat too! Beautifully crafted family estate in Coronado Hills. Located on 2.1acres, every amenity is accounted for including: owned solar no electric bill, gourmet kitchen, granite counter tops, French doors, back splash. All custom oak cabinets throughout home, chiseled travertine tile, acacia hardwood flooring, home office, spacious master suite w/ private, custom double door entry. Sweeping Oak Spiral staircase, tiled walkways, wrap around deck, fruit trees,gated entrance Neighborhoods: Coronado Hills Equipment: Dryer,Garage Door Opener,Pool/Spa/Equipment, Vacuum/Central, Washer Other Fees: 0 Sewer: Septic Installed Topography: GSL"
"Must See! Amazing ocean view executive home in the gated community of Varadero in W San Marcos. Dual Master Suites - 1 up/1 down w/separate entrance! Beautiful neutral palette finishes, open floor plan, chef's kitchen to die for including the 8 burner prof. range/hood, slab granite counters, amazing butler's pantry+huge walk-in pantry, gorgeous hand scraped hard wood floors, 4 en suite bedrooms, 4.5 baths, 3,915 sq.ft.,3 car tandem garage, cul-de-sac location. See supplement Neighborhoods: Lake San Marcos Complex Features: ,,, Equipment: Fire Sprinklers,Garage Door Opener Other Fees: 0 Sewer: Sewer Connected, Public Sewer Topography: LL"
"STUNNING LUXURY PROPERTY in Bella Vista/San Elijo Hills! Designer upgrades featured thru/out this one-of-a-kind home w/ 5 Bd+Loft+Office (1st fl Bd/Ba & office) & 5.5 Ba. Gorgeous upgrades incl.beautiful hardwood & marble tile flooring, gourmet chef's kitchen, crown molding, custom lighting, master retreat w/ spacious deck, custom closets & much more! Ultimate indoor/outdoor experience w/ cantina doors opening to the covered outdoor living room & fabulous spacious backyard w/custom fireplace! OWNED SOLAR! Neighborhoods: San Elijo Hills, Bella Vista Complex Features: ,,,, Equipment: Garage Door Opener, Range/Oven Other Fees: 0 Sewer: Sewer Connected Topography: LL,GSL"
"Beautifully redone house. TURNKEY and oh so well done. Looks like something you'd find in Rancho Santa Fe. Large easy maintained lot and orchard. LOTS OF PARKING!!! Great Views. Very private community of custom houses. Live as you'd like!!! Feels rural as if you're in Elfin Forest but you're only a few minutes from La Costa Town Center, Albertsons, Vons and a short ride to San Marcos High School. seller has impeccable taste and used high end features. Two Master Bedrooms one on each level. Neighborhoods: Custom Next to Carlsbad Complex Features: , Equipment: Dryer,Garage Door Opener Other Fees: 0 Sewer: Septic Installed Topography: GSL"
"*** BUILDER SPECIAL! *** Take a look at one of the few remaining corner 2.04 AC parcel! This one offers views, close to Lake, golf course, shopping etc. DON'T MISS OUT! Mostly flat, single family house detached garage for working your projects and rest undeveloped land. Older unit in back used for storage, Large garage. Parcel is perfect if you need to park large equipment. Surrounding adjacent properties currently pending! Seller's choice of all services, we can quick close, seller will cooperate with a 1031 for buyer and buyer to verify all, come by and take a look!" "Entertaining is a breeze at this premiere waterfront home on Lake San Marcos. Enjoy watching the wildlife, lakefront activities and spectacular sunsets. BBQ on your private deck and patios off the Great Room. This home affords easy indoor and outdoor living and features a large Master Suite with walk in closet, private office with built in shelves for a library and a guest room. Freshly painted inside and out. New flooring in bedrooms and kitchen. Optional dock fee of $963/year for use of boat dock. Neighborhoods: Lake San Marcos Other Fees: 0 Sewer: Sewer Connected Topography: LL,GSL"
"Large 3.74 acre LEVEL secluded, property with recently refurbished 2067 sf home PLUS detached 1 br apartment and detached office. No HOA. Approximately 45,000 sf greenhouse. Mountain/hills view. Potential for home owner who wants private & wide open spaces. OR...for the grower who wants a greenhouse and space for more...OR for the builder/developer as the property has developmental potential OR the investor who seeks positive rental income from home, apartment, land and greenhouse. 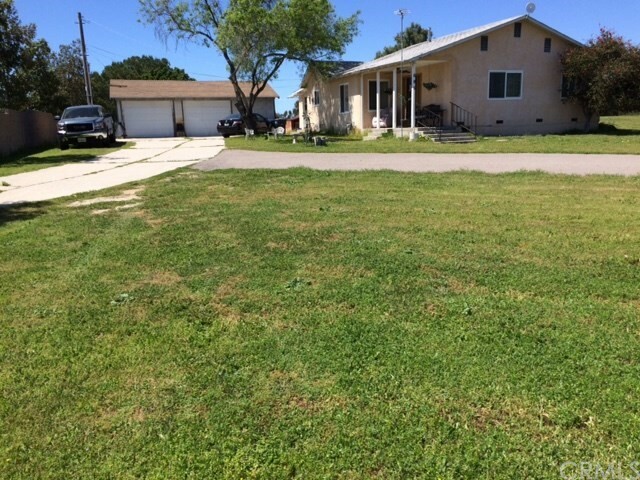 Neighborhoods: San Marcos Equipment: Range/Oven, Shed(s), Washer Other Fees: 0 Sewer: Septic Installed Topography: LL Guest House Est. SQFT: 850"
"Dazzling gem in exclusive Rancho Dorado. Enjoy soft breezes with stunning lagoon & ocean views. This elegant home features soaring ceilings, built in fireplaces, crown moldings, granite counter-tops throughout. Meticulous attention to detail with custom marble flooring, chef's kitchen, upgraded cabinetry, walk in pantry & decorator wall finishes throughout, grand crystal chandelier & even a tiled garage. Main floor bedroom + gym with side entry. Very private with only 1 neighbor. Original owner since new. Neighborhoods: Rancho Dorado Equipment: Dryer,Garage Door Opener, Washer Other Fees: 0 Sewer: Sewer Connected Topography: GSL"
"Impeccable, upgraded San Elijo Hills home is a must see from the curved wrought iron staircase & circular indoor balcony, to the breathtaking panoramic ocean & mountain views. The home features gorgeous hardwood flooring, wood plantation shutters, French doors, dual pane windows, a sprawling master suite with a retreat, walk-in closet & balcony, & a beautiful spacious kitchen with an island & bar seating! Custom Pool/Spa with two waterfalls, gas fire pit, and a side yard with turf! Neighborhoods: San Elijo Hills Equipment: Pool/Spa/Equipment Other Fees: 0 Sewer: Sewer Connected Topography: LL"
"VRM. $999,000-1,099,000 BIG PRICE REDUCTION,Sweeping 280 degree views from this custom home situated high on a hill at the end of a cul-de-sac.Large kitchen with walk-in pantry.Separate elevated dining room,expansive Great Room with free-standing fireplace,walls of windows & sliders framing the panoramic golf course,mountain & city light VIEWS.More features include:Vaulted ceilings, huge master bedroom with a large retreat (also boasting a free-standing f/p) with direct access to the indoor pool and spa. Neighborhoods: Lake San Marcos Equipment: Pool/Spa/Equipment Other Fees: 0 Other Fees Type: , Sewer: Sewer Connected Topography: GSL"
"Custom Home in highly desirable neighborhood with Pool/Pool House, potential gated RV parking. NO HOA OR MELLO ROOS FEES. Homes on this street rarely become available. Currently within San Marcos High, San Elijo Middle, Discovery Elementary school boundaries. . Fabulous family home with plenty of interior and exterior areas for adults and children. Gorgeous views and endless possibilities from the upper level of the property. Pool house could be used as a separate living area with its own bathroom. Neighborhoods: Rancho De Cima Complex Features: , Equipment: Garage Door Opener,Pool/Spa/Equipment Other Fees: 0 Sewer: Sewer Connected Topography: GSL"